Sydney’s train network is currently undergoing disruption with reduced services planned for Monday 29 January. We can help you avoid the delays by planning your trip to work by bike instead. 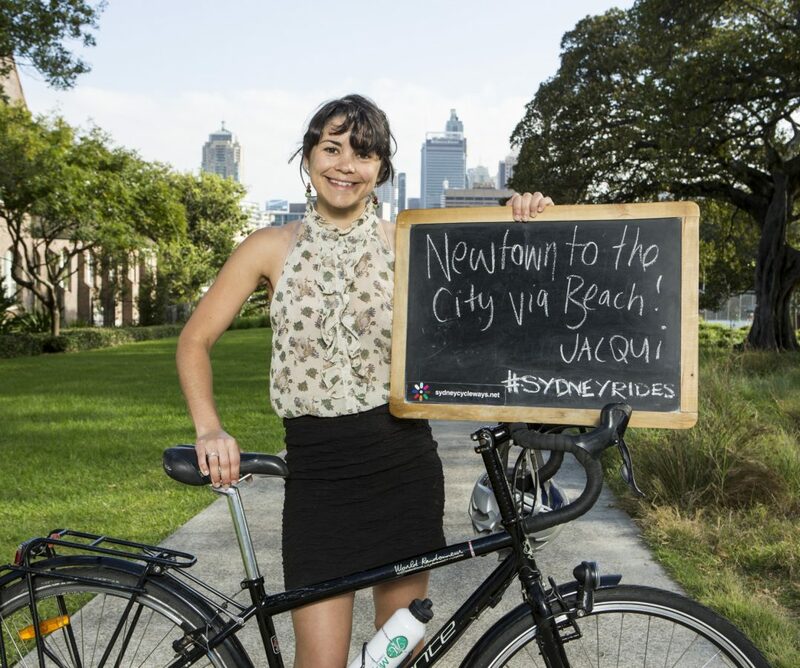 About one million Sydneysiders live within a 30 minute bike ride of the city centre. Here’s five quick tips to help you give it a go and beat the traffic! It’s time to dust off that bike you haven’t used in a while! We can help get your bike in top condition at our free tune up session in Prince Alfred Park (near Central Station) on Thursday 25 January. 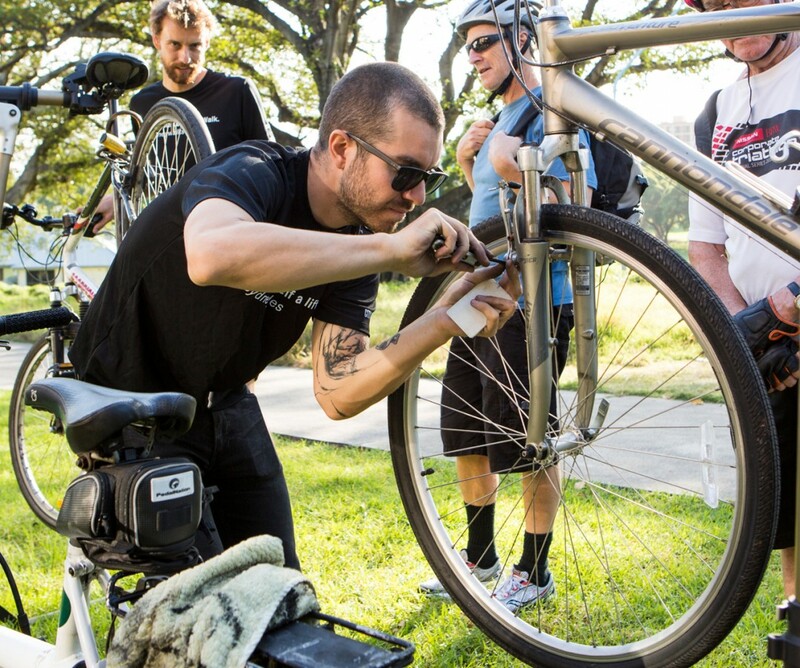 We also offer bike maintenance courses at Sydney Park Cycling Centre if you’re keen to learn the basics for yourself. Need a new ride? Head to a Sydney bike shop, here’s a handy list of locations. The best bike route isn’t always obvious and usually won’t be the same way you drive. There’s an abundance of cycleways, hidden connections and quiet back streets you might not be aware of. Our live Facebook messenger service can give you instant journey advice, drawing on our database of over 2,000 personalised bike routes. Open messenger now and tap ‘get started’. Alternatively our Sydney cycling map and guide can help you find your own way. Look out for our team handing out maps at inner city train stations this week, or order a free copy now. Need tailored advice? Use our personalised route finding service for door-to-door directions. We’ll do our best to get back to you quickly. 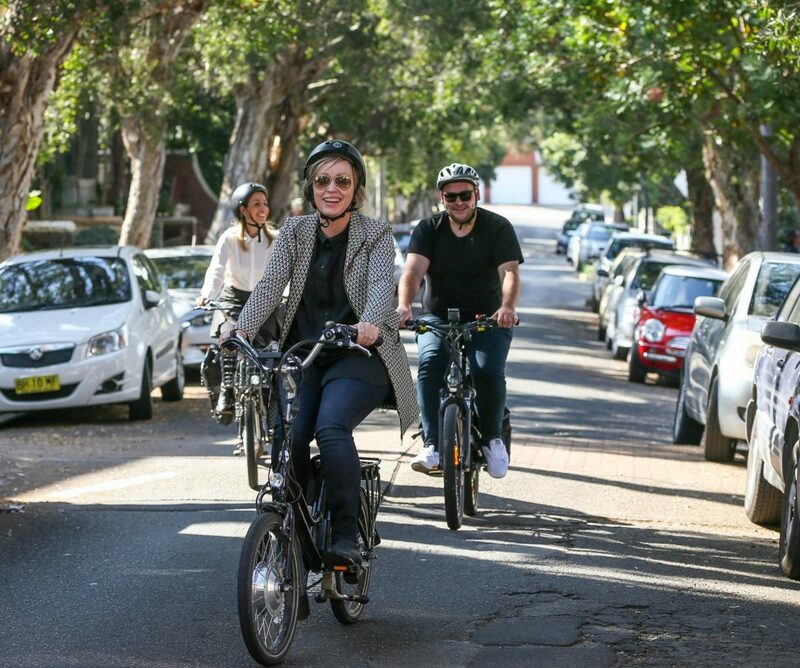 Our Cycling in the City course is for adults and led by experienced instructors. It will help increase your skills so you can ride city streets with confidence, and teach you tricks and drills for navigating roads with ease. The next course at Sydney Park is on Saturday 27 January – just in time to bike the strike – but hurry, places are booking out fast. There’s a lot of information to take in when you’re just getting started, but people who ride are a friendly bunch and more than willing to help others. Ask around your work colleagues to see if you can join anyone else riding. Alternatively, the Sydney Bike Commuter Facebook group is a great place to ask questions and find a riding buddy. Maybe you can double up and bike the strike together? So give it a go, and enjoy the ride! We’d love to know how you get on; share your story on our Facebook page.